The number of UK Reaper drone missions flown in 2017 increased very slightly over 2016. In line with the overall trend, the vast majority of these flights (just over 80%) took place in Syria rather than Iraq. However, the number of UK Reaper sorties launching air strikes declined, with only 64 Reaper sorties launching one or more strikes in 2017. In 2016 a quarter of all UK Reaper missions launched a strike, in 2017 this declined to around 10%. This compares with just under a quarter of Tornado/Typhoon sorties in 2017 launching strikes. 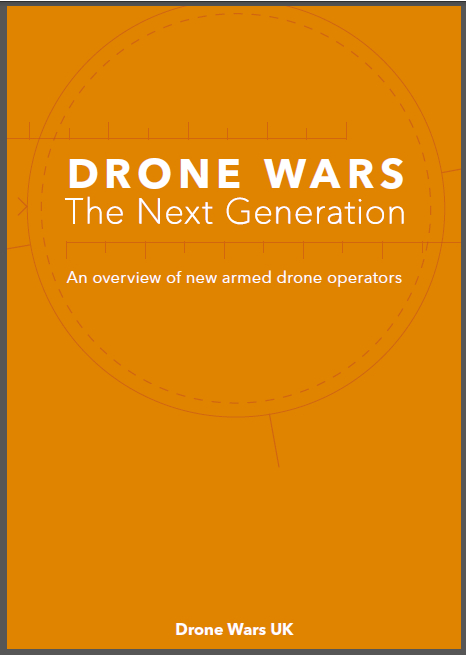 The decline in UK drone strikes is likely due to British Reapers being used to undertake prolonged surveillance in and around Mosul and Raqqa and laser-guiding other Coalition aircraft strikes. The ability of Reapers to remain in the air far longer than other aircraft makes them suitable for such tasks. As we have noted previously, Reapers are flying many more hours than other UK armed aircraft. However, UK airstrikes against ISIS and “in support of Syrian Democratic Forces” as the MoD puts it, continue. According to updates posted by the Ministry of Defence, British Reapers launched at least 44 attacks in Syria in January 2018, more than in the whole of the previous three months combined. By comparison, Tornados and Typhoons fired around 24 munitions in the same time period. While it can be difficult to compare these narrative updates with the FoI data, it appears that with the liberation of Raqqa, Reapers are reverting back to their strike role again. In 2015 there was a great deal of public and parliamentary debate about whether the UK should extend operations its operations from Iraq into Syria. It is conspicuous that now UK strike operations in Iraq are over, there is no parliamentary or public debate about whether strikes in Syria should continue or what the ‘endgame’ is. UK forces were deployed to the Middle East, it should be noted, at the request of Iraqi government to help with Iraqi security. This lack of debate is no doubt because this is a ‘remote war’ in many senses. With virtually no UK troops deployed and therefore no risk to our forces, the war has very much faded into the background. 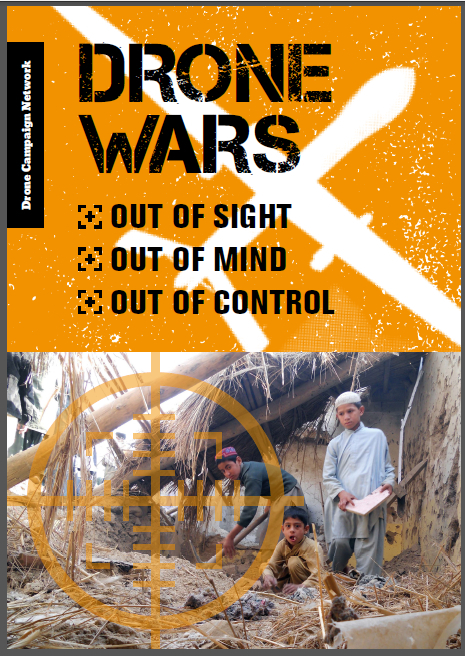 Despite on-going and systematic detailing of civilian casualties from groups like Airwars, the UK’s repeated insistence that there have been no civilian casualties from 1,600 air strikes has also helped to take the air campaign out of the headlines. There was some reports towards the end of 2017 that the UK was planning to withdraw its fast jets in the Spring while leaving Reaper drones to continue operations, but there has been little news on this since. 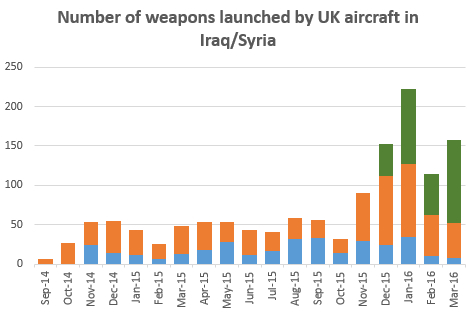 It seems that the UK will be continuing to undertake air strikes in Syria with no end in sight.